All you have to do is observe for a few minutes to realize that kids absolutely love being of service in the world. They try to open doors for adults and are finding ways to assert their independence as well as feel useful. One of the funnest ways to inspire kids to Eat Clean is to get them interacting with the food they’re going to eat! Make cooking together a weekly practice and trust them to help you prepare. In some parts of the world, young children are already preparing basic meals for their families. Find age appropriate tasks like chopping vegetables, put together a salad, stirring foods or de-stemming kale. When a child feels directly involved with the preparation of something they are much more likely to focus on the enjoyment of it rather than pushing it away. With a million ways to make food entertaining, getting creative should be a breeze. 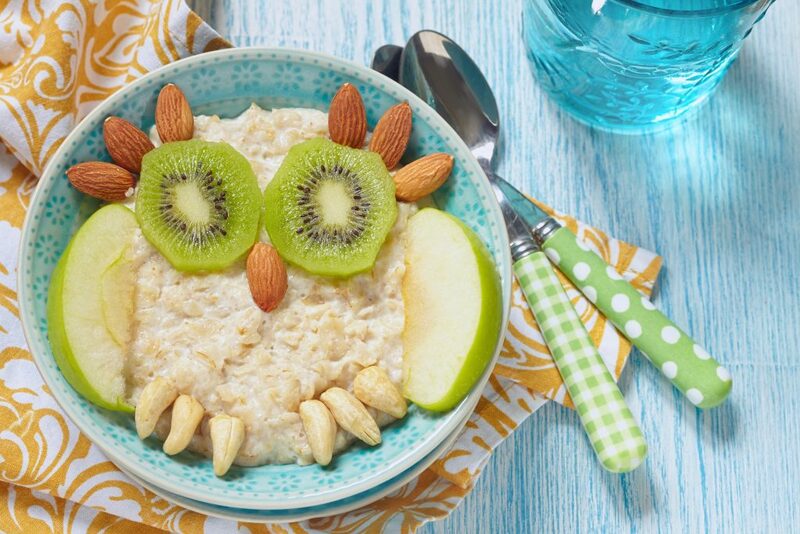 Try creating art with your food and encourage your kids to play in the kitchen! We’re taught not to play with our food, but why not!? Developing a healthy relationship with food means we understand that food is fuel and also meant to be thoroughly enjoyed. 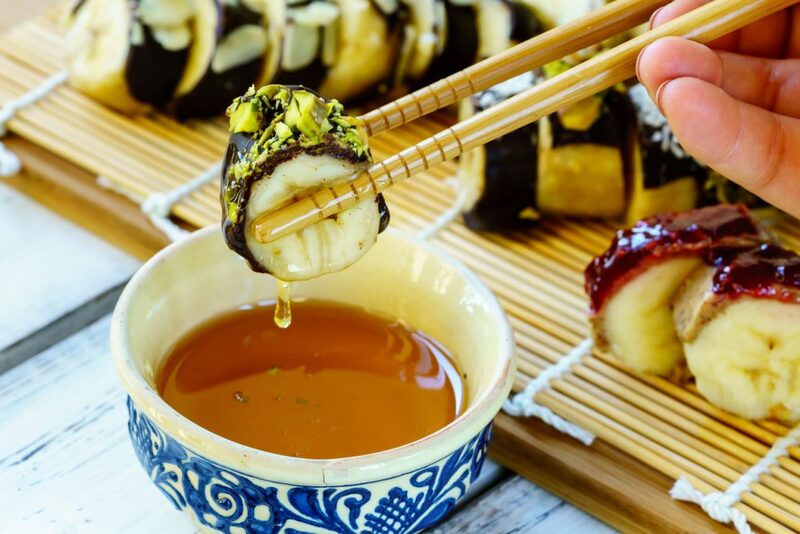 I love creating cute recipes for special occasions like these Chocolate Yogurt Filled Easter Eggs or even a Banana Sushi Party just because! 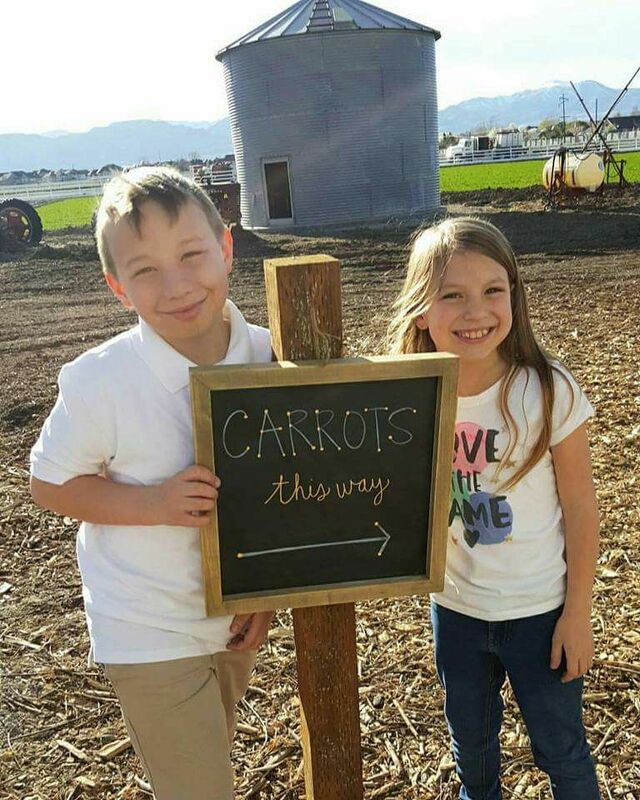 Children love to learn, and there’s SO much to learn about food. Simple facts about fruits & veggies can easily be turned into a game. Go to a veggie farm, shop at farmers markets and make food FUN! You can have the kids guess what the health properties are of each fruit & vegetable they’re preparing, and even discuss what it means to listen to their bodies and understand when they are hungry or full. In many parts of the world young children are educated about hunger and family meal times are encouraged while eating alone is highly discouraged. 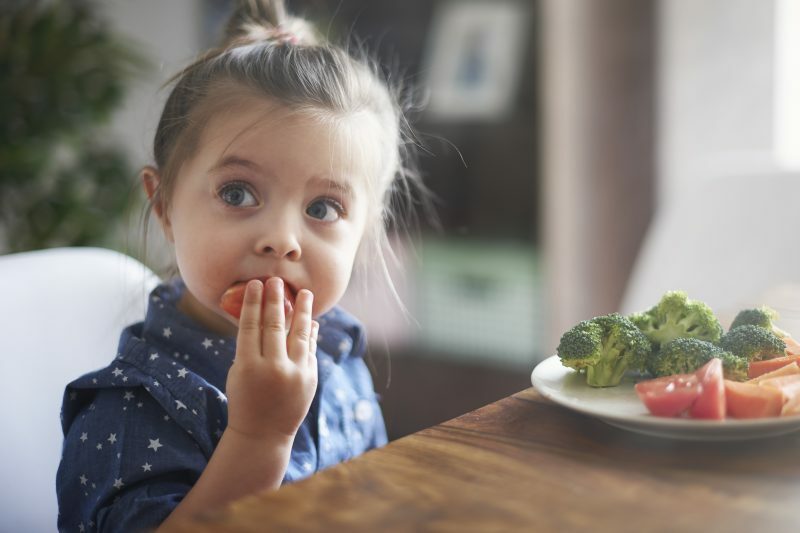 The premise that food is meant to be a pleasurable time is anchored in at a cultural level which supports healthier eating and lifestyle choices at a young age. Seriously, who doesn’t love dessert! I have found creating healthy options for sweet treats makes a world of difference when introducing a new lifestyle to young ones who may already be accustomed to certain junk foods that you’re making an effort to remove from the home. The first step is to focus on introducing healthy and pleasurable options rather than simply removing sweetness all together. This makes the focus on upgrading the fun rather than taking it away. 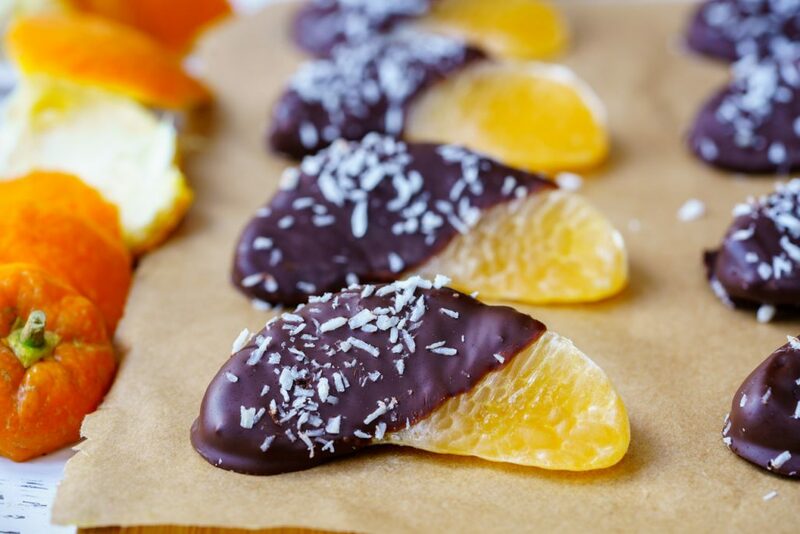 Try these 5 Sweet & Super Simple Treats to make with your little ones, kids LOVE em’! Kids are learning how to make decisions for themselves and often this can result in a lot of “no’s” that don’t necessarily have foundation in any reality other than the fact that they’re learning how to set boundaries. One easy way to work within this is to simply offer them the chance to help decide what’s to eat for the week. 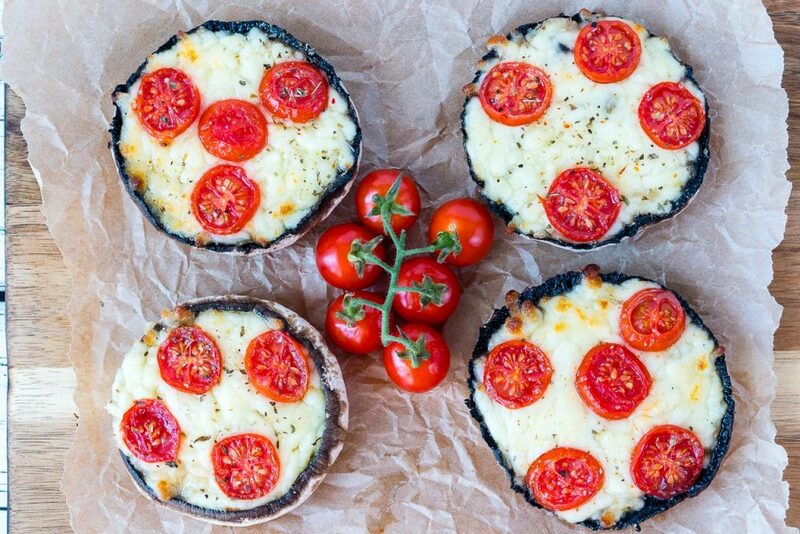 Create a list of all of the options like these 10 Minute Portobello Pizzas and ask them to help design a plan for lunch and dinner for the entire week. By providing them options for meals, they get to help while also choosing from healthy options you’ve come up with. This encourages teamwork and reinforces a co-creative process within the household. When making the switch to Clean Eating, there will be some adjustments and at times it may not always be easy. If your family has learned to crave and enjoy certain foods that you’re wanting to remove from the home, you might encounter resistance and that’s totally normal. Remember that forcing other people to change is futile and the very best way to inspire change is through leading by example. Demonstrate that Clean Eating is pleasurable by developing your own healthy relationship with food, enjoy the meals you prepare and practice letting go a little bit. Give everyone some time to come around and find fun ways to bring new foods into the mix without force. You may be really passionate about this new lifestyle and want the best for your family, just know that it can be a slow process and that’s totally ok! Focus on you first and the rest will fall into place. Was there ever a time in your childhood where you were told you couldn’t leave the table until your plate was empty? Or what about being told to eat foods you didn’t love? The truth is, we’re all individuals and as children, individuality isn’t always honored especially when it comes to food. While encouraging a picky eater is challenging, also keep in mind that sometimes kids just simply won’t like the taste of a certain food. Try encouraging your kids to really taking time tasting foods and then discussing what they experienced with that food. You can even have ‘taste testing” play time where you bring out a variety of foods, chop them together and taste them. Together, you can discover the taste of bitter, sour, sweet, salty and even gross! Yes, it’s ok if they find some foods gross! The more freedom a child has to choose foods they like and dislike, the more flexible they will become at lunch and dinner. We would all get a little grouchy being forced to eat things we don’t like.